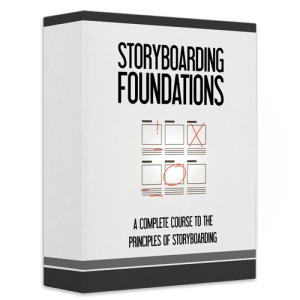 We have an official release date for our newest upcoming course Storyboarding Foundations! The course will launch on Tuesday, September 5th! The course will launch with a discounted price for the launch period, which will end the following Thursday (September 7th). But that’s not all… Are you ready for this? Not only will the price go up at the end of the launch, but we’re increasing the prices of our entire course library! That’s right. All of our courses will cost more after September 5th. I’ll provide the actual numbers later on, but I would highly recommend getting any courses you’re interested in sooner rather than later. 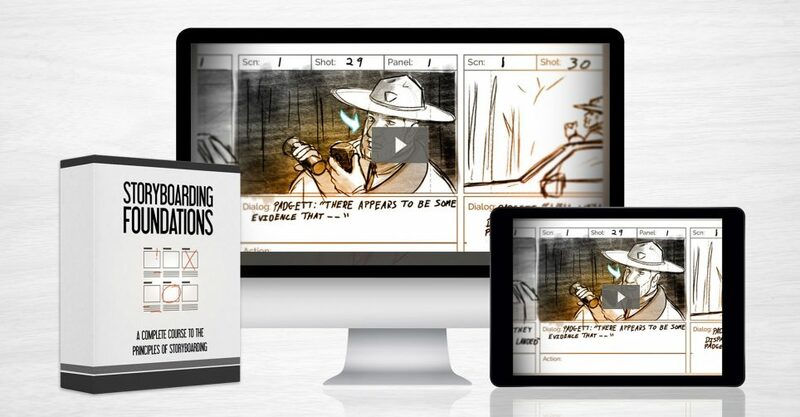 So Storyboarding Foundations… What is it about? We’ll start by going over basic filmmaking terminology and concepts, understanding what a storyboard is used for, shot types, camera moves and transitions. After understanding the basics, we’ll dive deep into composition, learning how to get clarity in your shots. We’ll focus on focal points, rule of thirds, lighting, composition in moving shots, cuts, 180 rule, shot types and more. Jumping right into the action, we’ll learn the storyboard pipelines and structure, and start making one ourselves. We’ll see how to turn a script into thumbnails into rough boards into clean boards, and even how to pitch your storyboard and create an animatic. We’ll learn how use the storyboard template included in the course, as well as how to setup one for ourselves. We’ll go over drawing, exporting and creating an animatic from your boards. We’ll learn how to create quick 3D scenes and use a 3D camera to create shots for our storyboard using the free 3D program SketchUp. Included in this course is an in-depth mini course on Storyboard Pro, one of the most advanced storyboarding programs. We’ll learn how to use this program from start to finish, and create a professional-grade storyboard and animatic.